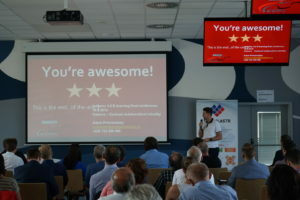 Many partners organized or will organize events to disseminates the projects results. 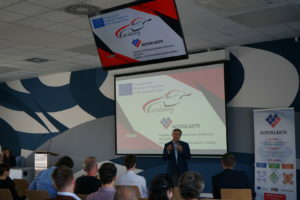 Moravskoslezský Automobilový Klastr (MAK) proposed a whole day about industry 4.0 and especially cobots, where it explain Cardemy project and how is important to educate young people with EQF3-4 (mostly operators in production lines). MAK have opened officially its cobots centrum, so it have shown how looks like cobots e-learning in Cardemy project.